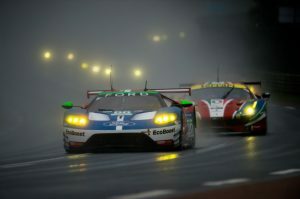 Alongside the Indy 500 and the Monaco Grand Prix, the 24 Hours of Le Mans is one of the most legendary motor races. Winning all three events is a feat known colloquially as the “Triple Crown” of motorsport. It is an unofficial achievement, and no award is given for the same. To date, only 17 drivers have competed in all three events and won at least one, but the only winner of all three so far has been Graham Hill, with Juan Pablo, winning two of the three, namely Monaco and Indianapolis. This race is, without a doubt, the most iconic endurance race in the world, and not just because it’s the oldest. The intense rivalry between Ferrari and Ford in the 1960s has cemented it in the consciousness of not just race fans, but also the general public. For a long time, the car that won Le Mans would be the car that everyone wanted to buy. Winning this race, therefore, became a priority for the Ford Motor Company. Henry Ford offered to buy Enzo Ferrari’s company for $16 million. Ferrari agreed, but a dispute over his retention of the motorsport side of the business caused the deal to collapse. Enraged, Ford commenced work to try and defeat Ferrari. Ford’s GT40 was a failure in the 1964 and 1965 races. In 1966, however, Ford eventually went on to dominate Ferrari, and scored the legendary 1-2-3 finish. This car also won the next three races at Le Mans, wrapping up an era in 1969. From 1970 onward, the race would change substantially with the introduction of prototype categories in which purpose-built sportscars competed alongside production-based cars. The 1980s introduced the Group C formula, aimed at fuel efficiency. Loopholes in the rules saw GT cars again competing at the front between 1994 and 1999, before more rule changes in the early to mid-2000s ushered in the present LMP1 and LMP2 prototype classes.